Adolf Ellegard Jensen was the oldest and most outstanding student of the distinguished Africanist, Leo Forbenius. The institute which Forbenius had founded in 1898 was directed by Jensen through the turmoils of Nazi period, the Second World War and the difficult years immediately after the war. 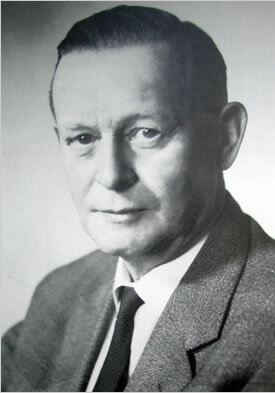 His research in southern Ethiopia in 1934 - 35 yielded important results, although it was terminated prematurely on account of the impending war between Italy and Ethiopia. After almost three centuries of largely philological studies devoted principally to northern Ethiopia, Jensen’s undertaking marked the beginning of German historical and cultural research in the southern part of the country. This research was resumed after the war. Since 1950 eleven members of the Frobenius-Institue have worked in southern Ethiopia - some of them for several years - pursuing above all historical, geographical and linguistic studies. Their principal aim has been, in collaboration with prominent persons of southern Ethiopia, to study and record the cultures of these groups, which had received hardly any attention in scholastic literature and whose history existed only in oral traditions. 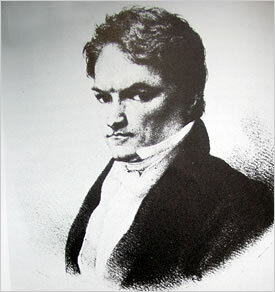 As a result of his work, a large number of articles and books have appeared, mostly in German. Many further publications are in preparation, and increasingly the effort is being made to publish them also in English. Members of the institute have worked or are working on the following nationalities: Sidama, Gedeo, Gidicho, Kambata, Hadiya, Tembaro, Arussi, Guji, Borana, Konso, Burji, Amarro, Dorze, Gamu, Wolayta, Zala, Gofa, Male, Basketto, Ari, Dauro (Kullo), Konta, Dime, Dizi, Gimirra, Chako, Shekka, Kafa, Bosha (Garo). This research has dealt both with history and with cultural history: in other words, the aim has been to see history not merely as a stringing together of political events, but also as the evolution of the whole culture of a people. Consequently each research project has been designed to include in its investigations all aspects of the culture of the ethnic group concerned. Particular value has been placed on the recording of material culture in films, photographs, drawings and collections, because even the objects used in everyday life can provide important historical evidence. Parts of these collections have been presented to the Institute of Ethiopian Studies at the University of Addis Ababa as a gift. 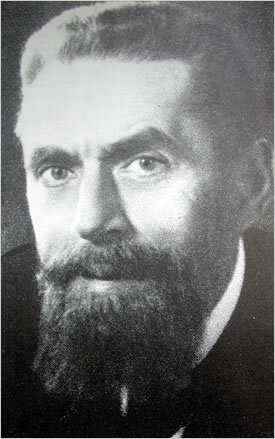 The following members of the Frobenius-Institute have worked in Ethiopia: Adolf Ellegard Jensen, Elisabeth Jensen-Pauli, Eike Haberland, Willi Schulz-Weidner, Helmut Straube, Wolfgang Kuls, Ulrich Braukämper, Siegfried Seyfarth, Werner Lange, Karl Heinz Striedter, Maria R.-Alföoldi. It is unfortunately not possible here to name our Ethiopian friends and partners individually, for their numbers run into the hundreds. We are happy to have this opportunity of thanking them all most warmly for everything we have received from them - not only knowledge and instruction, but also friendship and kindness. As a token of our dept in these people, we show here the portraits of two great historians - Jilo Da’imu from Konso (sorry missing) and Kaba Debo from Wolayta. This is the last part of this series about the academic collaborations between Ethiopia and Germany. I hope this topic have given you an important side view about the relationship of these two countries. I want to thank the author of the booklet, Eike Haberland, and the Frobenius Institute in Frankfurt for publishing this sensitive document and give us such priceless informations. Likewise closely associated with Eugen Mittwoch was Belattengeta Heruy Walda Sellase, one of the most distinguished Ethiopians of his day and one of the founders of modern Amharic literature; he died in exile 1938 in England. Few men have exercised such an important influence over their people through their scholastic, moral and poetic writings. He is included here because his lengthy stay in Germany in 1923 led to a very fruitful collaboration with Eugen Mittwoch. Eugen Mittwoch: “With Belatta Heruy I was able to work together for a few hours a day over a period of several weeks… He readily complied with my studies, for which he showed a lively interests”. In the course of this work they discussed the important question of the pronunciation of Ge’ez in present-day Ethiopia - a question which, in Europe, had until then remained fully unanswered; later a scholarly analysis was published. With Eugen Mittwoch we conclude this set of great German scholars of Ethiopian languages. His brilliant career was brought to a close by the unhappy events of the period after 1933. 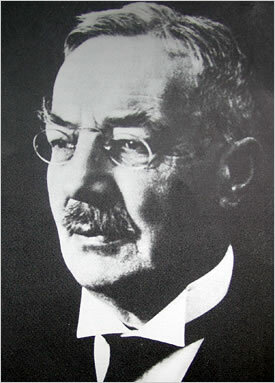 He was obliged to emigrate and died in exile in England in 1942. Of him it was written in one obituary: “He was quite scholar. He was faithfully attached to his German fatherland and to the traditions of his Jewish fathers. For his family he was a model paterfamilias, and for the poor and needy among his fellow-believers a friend who was always ready to help.” In 1905, when Friedrich Rosen led the first German legation to Ethiopia and thus opened a new chapter in the history of Ethiopian - German relations, a professorial chair was created for Ethiopian studies at the University of Berlin, with the aim of promoting academic contacts between Ethiopia and Germany. 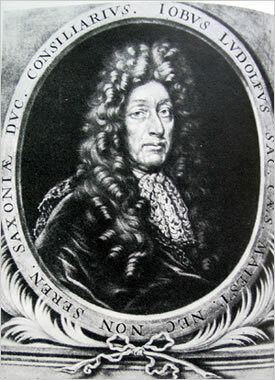 Eugen Mittwoch was the first person to hold this post, and for many years he also directed the famous “Seminar für Orientalishe Sprachen” (Seminar for Oriental Languages), which at that time had the same status as the School of Oriental and African Studies in London has today. Like other German orientalists, Mittwoch was at home in Persian, Arabic and Turkish. 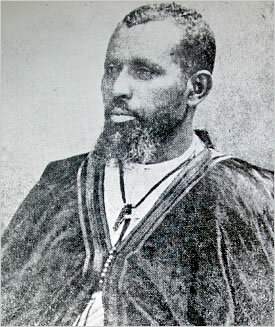 His principal area of study, however, was Ethiopia, especially the literature and language of the Amhara. Here he made accessible a large amount of new material. Of particular benefit for him was the close contact which he had over a period of many years with Alaqa Tayye, the first person to hold the post of lector for Ethiopian languages at the University of Berlin. 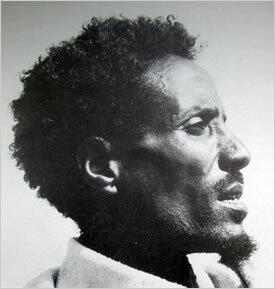 Together with him he published a large number of works on popular traditions of the Amhara. A legation visit to Berlin by the Belatengeta Heruy gave Mittwoch the opportunity to get to know this remarkable man, and this contact resulted in a very important piece of academic work. Inseparably linked with the name of Eugen Mittwoch is that of Alaqa Tayye. After receiving an ecclesiastical education in his home region of Yifag, east of Lake Tana, he wandered northwards and came into contact with the Swedish mission in Monkullo, for whom he worked for several years, principally as a translator. 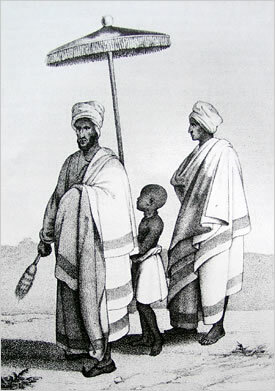 His first important publication, Mashafa Sawasew, appeared in Monkullo in 1890. Following an unsuccessful term as a Protestant missionary in Bagemedr, he was sent by the Governor there to Addis Ababa, where he hoped to obtain an appointment at the court, on account of his education and knowledge. 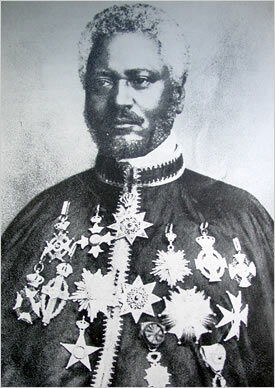 But when the first German legation came to Ethiopia under Friedrich Rosen and asked for an Ethiopian scholar to be sent to Germany in order to promote Ethiopian studies there, the Emperor Menelik remembered Alaqa Tayye and sent him to Berlin, where he held the post of lector in Ethiopian languages at the Seminar for Oriental Languages (from 1905 to 1907). His participation in the Seminar’s work yielded very fruitful results: many of the texts which Mittwoch published on Amharic culture were compiled by Tayye, and the two men had a very close and good relationship. 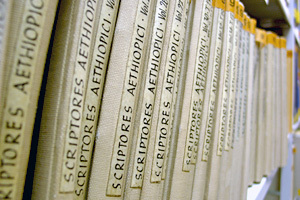 On his return to Ethiopia, Tayye took with him 130 precious Ethiopian manuscripts as a gift from Germany to Ethiopia. Alaqa Tayye was a productive writer: a particular note, besides his theological writings, is his History of the Ethiopian People. Enno Littmann was a professor of oriental languages, first in Strassburg, then in Göttingen and Bonn and finally in Tübingen, where his beautiful house remained a centre of oriental studies in Germany up to his death. He combined a brilliant gift for languages (he fully mastered more than a dozen), wide intellectual interests and ability to build quickly a warm and intimate relationship with people of different cultures. These qualities explain why his relatively short stays in Ethiopia yielded such successful results. In addition, he had an amazing capacity for work, as can be seen from his six-volume translation of A Thousand and One Nights, completed with poetic energy within a very short period. He was also a master Arabic literature. 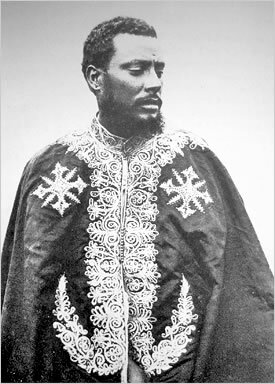 His fame rests above all, however, on the works which arose from his two research visits to northern Ethiopia, where he stayed among the Mensa (Tigre) in Eritrea in autumn and winter 1905 and in Aksum from January to April 1906. During his stay among the Tigre he had the good fortune to work with a congenial partner, Naffa Wad Etman without whom the four important volumes, misleadingly entitled Publications of the Princeton Expedition to Abyssinia, would never have appeared. They contain a whole corpus of Tigre traditions and songs, and are imperishable documents of Ethiopian culture. Littmann’s research in Aksum, where he was accompanied by Theodor von Lüpke, Daniel Krencker and Erich Kaschke, marked the beginning of a new chapter in Ethiopian studies - archeology. It is amazing how much was excavated and recorded in the short period of his stay in Aksum. This too would not have been possible without the close coopration of Ethiopian friends and partners. The members of the German team received valuable assistance from the Dejazmach Gabra Sellase Brya Gabr and from many priests and monks in Aksum. 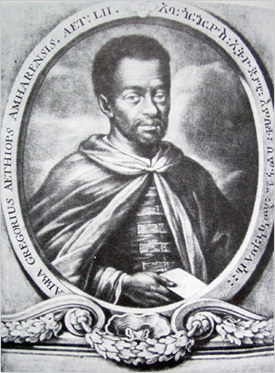 Further illustrations of Littmann’s universality are his edition of the Praise-Songs for Ethiopian Emperors in the ancient Amharic language, for which he received precious advice from Mamher Kefla Giyorgis in Jerusalem, and his remarkable booklet on Galla-Verskunst (Oromo Poetry).